The Atlantica Undersea Colony Project has released its mission patch, shown above. 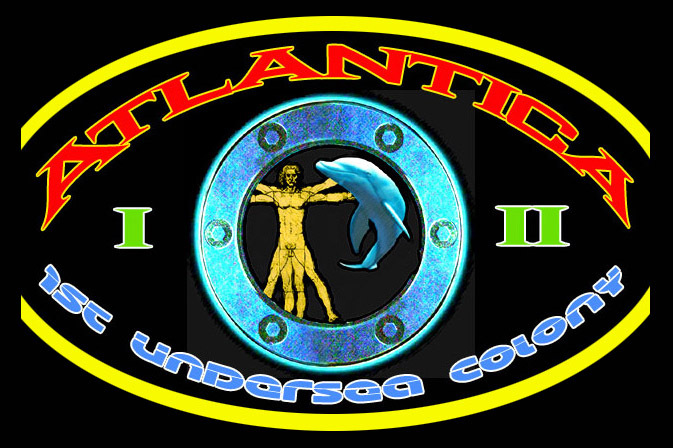 The Patch represents the Atlantica Project Expeditions I and II, leading to the establishment of the first permanent human presence undersea. The patch depicts a porthole looking out into the sea, which represents the human habitats that will make up the colony. Out of the porthole is shown a man as a new permanent resident in the sea beside another permanent ocean mammal, the dolphin. This represents the stewardship of man in the undersea environment. As a permanent resident, he assumes responsibility for his own presence and the preservation and protection of the environment and its other many residents in which he becomes a new citizen. 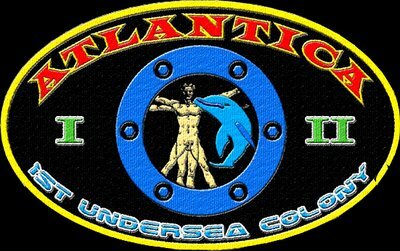 This four inch embroidered patch will be available in the Undersea Colony Store, opening on the website in February 2007.